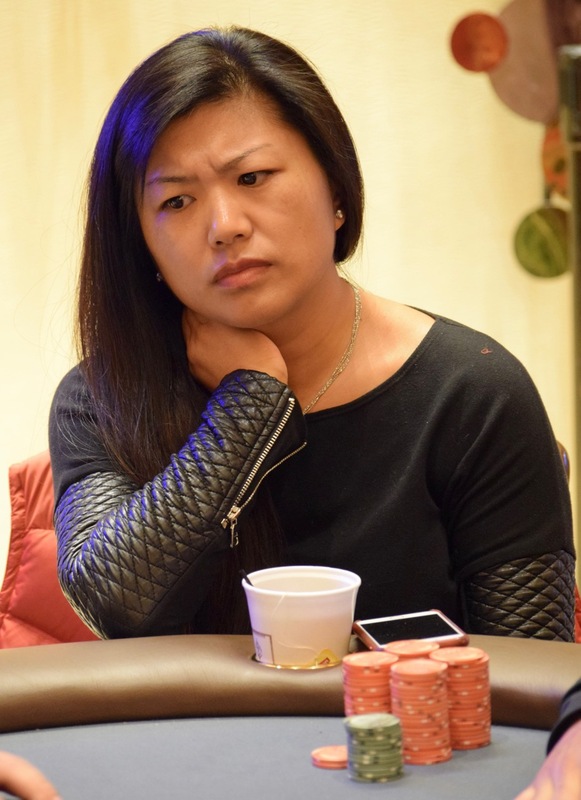 All in with pocket Sixes preflop, Haixia Zhang is called by Hafiz Khan who is holding pocket Jacks, and Zhang - winner of the 2014 @WSOP Ladies Event for $153k - is at risk for her tournament life. "I had pocket Fives," Devin Jackson states as he mucks. Jackson reaffirms his statement when a Five hits the flop, followed by three blanks. He most likely would have shoved the turn Jack, and would have run in to Top Set of Khan, giving Khan 85 percent of the chips 3-handed. Instead, Zhang is out in 4th, a $27,021 cash and both Khan and Jackson have 40 percent each, with Andreas Kniep having the other 20 percent. A few hands earlier it was Denis Lee out in 6th, cashing for $15,843 and Eric Matulis picking up $20,571 for his 5th -place finish.